Blake Shelton hosted his annual fan club party at the Wildhorse Saloon. The sold-out crowd requested songs and for every song he didn't know, Shelton donated $20 to the Leukemia & Lymphoma Society. His final tally was $510. 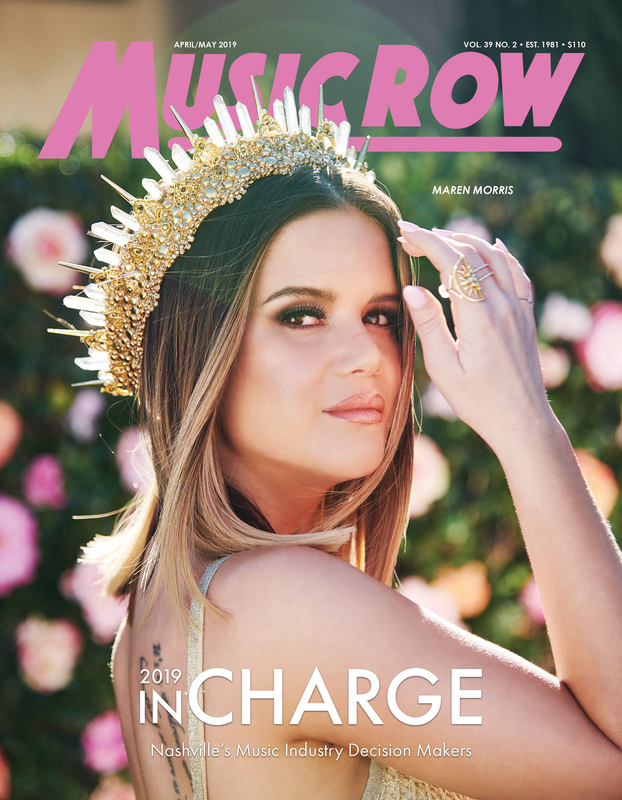 Miranda Lambert's mother, Beverly, requested the Black Crowes song, "She Talks To Angels," telling the singer, "I have a $100 request. If you don't know it, you have to double the donation." After conferring with his band, Shelton performed the Black Crowes hit. "Dancing With The Stars" finalist and ESPN correspondent, Erin Andrews, requested "Whiskey Bent And Hell Bound" by Hank Williams Jr. However, she told Shelton that she wanted Dierks Bentley to sing it. Surprise guest Bentley then took the stage. 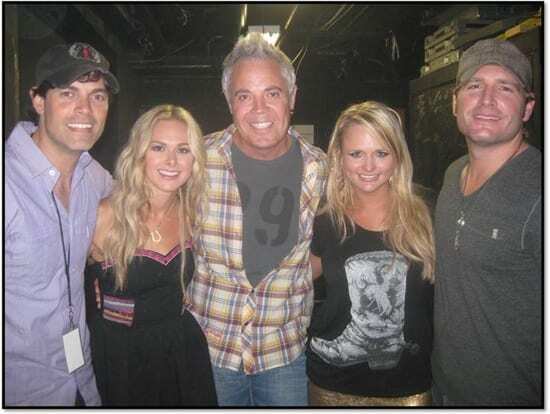 Other surprise guests were Laura Bell Bundy and Miranda Lambert. In all, Shelton's fan club raised over $31,000 for LLS that evening. Pictured (L to R) – Blake Shelton and Erin Andrews. The Country Music Association presented The Judds with a 25th Anniversary plaque during their “The Final Encore” tour announcement at the 2010 CMA Music Festival. (L-R) CMA’s Bobette Dudley, Wynonna Judd, acting CMA Executive Director Steve Moore, Naomi Judd, Kerry Hansen of Big E Enterprises Management, and WME agent Greg Oswald. Premiere Radio Networks, the official radio partner of The 2010 CMA Music Festival, hosted 18 of Country radio’s biggest stations, and the syndicated show, After MidNite with Blair Garner, at the Nashville Convention Center last week. 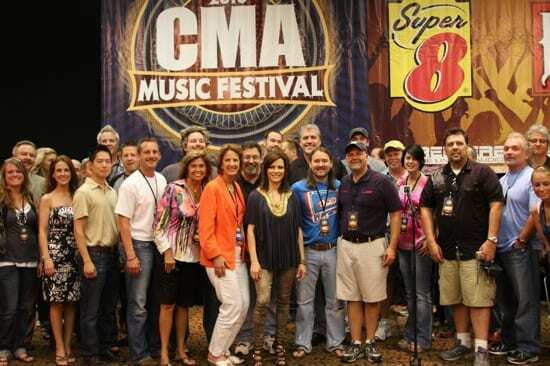 More than 60 artists and celebrities stopped by, including Martina McBride (pictured above). Blair Garner's After Midnite party, held Friday night at the Wildhorse Saloon. Pictured (l-r): Jaron of Jaron And The Long Road To Love, Laura Bell Bundy, Blair Garner, Miranda Lambert and Jarrod Neimann. 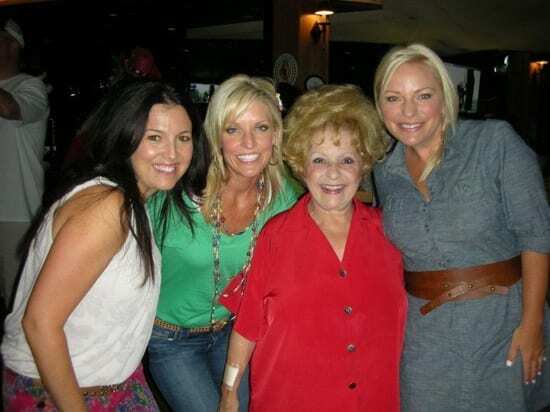 Point of Grace with Brenda Lee at the CMA Music Festival opening parade. Brenda Lee was the Grand Marshall. Pictured (L-R): POG members Dana Cappillino and Denise Jones, Brenda Lee, and POG member Shelley Breen. 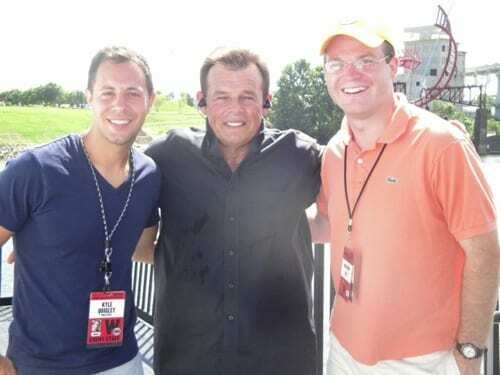 Sammy Kershaw prior to his performance on the River Stages on Sunday. Pictured (L-R): CMA’s Kyle Quigley, Sammy and Jake Kennedy of BLA.